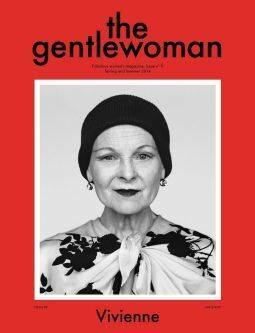 THE GENTLEWOMAN, the magazine that celebrates modern women of style and purpose now has a celebration itself. This spring the 15th issue of this biannual has been published. 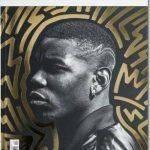 The magazine was launched in 2010 by the acclaimed founders and editors of Fantastic Man, Jop van Bennekom and Gert Jonkers. Penny Martin is editor-in-chief of THE GENTLEWOMAN. Before launching the magazine in 2010 Penny was chair of fashion imagery at the London College of Fashion and before that editor-in-chief of SHOWstudio. The mix of its creators is mirrored in the magazine. It offers a fresh and intelligent perspective on female fashion with a focus on personal style – the way women actually look, think and dress. Featuring ambitious journalism and photography of the highest quality, the magazine showcases inspirational women through its distinctive combination of glamour, personality and warmth. And each GENTLEWOMAN opens with a true star and cultural icon, as a theme for the issue. Women with intelligence, quick wit and independence. No wonder that its readers are ambitious, confident, widely traveled and fiercely proud of their financial independence. And with a deep love of fashion, which they display through their own personal style. Now that is a top-class selection of women of note, wouldn’t you say? It is these women that fill THE GENTLEWOMAN with their glamour, personality and warmth, thus contributing to ambitious journalism and distinctive photography of the highest quality and that is exactly what these women deserve. No wonder the magazine usually sells out so quickly… just a few editions left to lay your hands on.